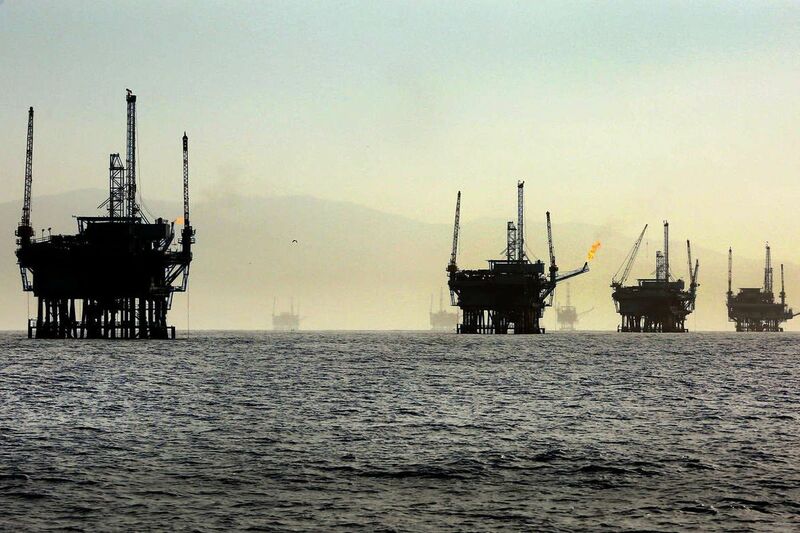 A line of off-shore oil rigs off the California coast in 2015. New Jersey Attorney General Gurbir S. Grewal on Wednesday sued the federal government for failing to answer his Freedom of Information Act request seeking why Florida — but no other Atlantic seaboard states — was excluded from a plan to expand offshore oil drilling. Grewal, in a suit filed in Washington against the Interior Department, said the federal government offered no information to explain the Florida drilling exemption, announced Jan. 9 by U.S. Interior Secretary Ryan Zinke, the same day he met with Florida Gov. Rick Scott. Trump exempts Florida from offshore oil drilling. What about New Jersey? Grewal and other Attorneys General have opposed the Trump administration's proposed expansion of offshore drilling along the Atlantic coast and called on the Interior Department to honor its past practice of not imposing such activity on states that don't want it. "The Administration continues to stonewall on a simple question: Why did they agree to exempt Florida from offshore drilling, while refusing to do the same for New Jersey?," Grewal said in a statement. He said that New Jersey's rationale for opposing offshore drilling "is every bit as valid as Florida's."